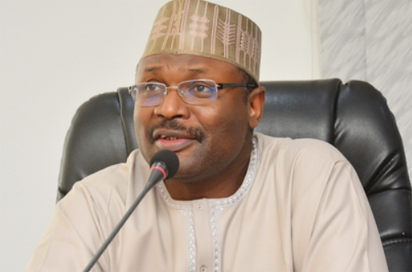 THE Independent National Electoral Commission, INEC, came under overpowering pressure in the March 9 Governorship and House of Assembly elections in the South-South with armed security personnel and thugs in military uniforms working for politicians taking some of its officials hostage, but the Commission rose above the dictates of heavyweight politicians and their parties that wanted to arm-twist it. In Rivers state, it appears the game plan by an influential chieftain of a political party was for the election to be indecisive to teach the governor, Nyesom Wike, a bitter lesson in a consequent election. Wike knew about the plan and made back-up arrangements. In all, the politicians almost put INEC in Rivers state in a quandary, but it cleverly wriggled out by suspending the voting process to save its face. It is yet to be determined if PDP deliberately influenced list of the INEC ad hoc staff for the election, but over eight returning officers, SPOs and EOs for the election were identified as card- carrying members of the PDP. APC also had some advanced plans, which PDP tried to upturn with INEC officials believed to be PDP members refusing the former’s manipulations of votes in favour of anonymous AAC’s candidate. It looked as if the game was over when men in military uniform, last Saturday afternoon, took over the INEC headquarters in Port Harcourt after an encounter with police officers drafted there. There is no doubt that APC and PDP were involved in unwholesome acts leading to INEC’s suspension of the exercise in Rivers. INEC in finally taking charge and suspending the exercise, pointed at evident irregularities and its only redeeming feature was the suspension. The electoral agency remained headstrong in concluding the collation and announcement of the results. Worried over widespread violence and intimidation of officials, following earlier warning not to take kindly to irregularities, especially threat to lives of its officials, it declined to accede to biddings of political principalities. The national body, following the development, sent a fact-finding delegation to the state to ascertain the reason officials suspended the process in the state. The delegation, which had completed its assignment in the state, has since Tuesday, returned to Abuja to submit its findings to the electoral umpire. However, under a free and fair contest, Wike really has no rival in the elections, but APC, even in self-destruct, is hell bent on paying him back over his perceived hijack of the process when “federal might” was to his favour in 2015. Like in Rivers, INEC had problem in Delta state, but not in terms of politicians compromising the system. The Resident Electoral Commissioner in the state, Mr. Cyril Omoregbe, gave no room for politicians to get to him, let alone finding the middle ground with him. He rejected courtesy visit by politicians and declined to entertain powerful politicians who sought to meet him before the elections. The challenge it had was vehicles and boats for movement of materials on Election Day. There was a particular case where INEC officials had to rely on the vehicle of a union to move its personnel to a centre in Warri. There were also cases of mix- up of electoral materials. In some situations, officials brought materials meant for some units to another unit in Warri. This delayed commencement of voting as INEC officials had to take time to sort out the mix up before voting could commence in the affected units. The Commission was, however, in charge of the process, neither the PDP nor APC could infiltrate the system. Akwa Ibom state is among the few states in the country where the 2019 general elections held on February 23 and March 09 2019 respectively were adjudged most peaceful, credible and fair. Many attribute the achievement to the neutrality and transparency displayed by INEC led by Mr. Mike Igini, the Resident Electoral Commissioner. No doubt, there were reported cases where desperate politicians used thugs allegedly hired outside the state to intimidate and harass INEC ad-hoc staff, electoral officers, and collation officers at some polling units and carted away election materials, including card readers. For instance on the eve of the cancelled presidential and national assembly polls, hoodlums suspected to be political thugs set ablaze 13 buses hired by INEC for the elections, while police confirmed that one unidentified person was killed in the incident. Also on Friday, March 8, about 3:00 am, hoodlums set ablaze the INEC office in Ibesikpo Asutan leading to the destruction of card readers, and voter’s register. INEC officials had said that those behind the heinous act had targeted the store thinking that the sensitive materials were already there. However, the commission did not waste time in replacing card readers and reprinting of the voter’s register, which made it possible for election to hold in the area. The REC, Mike Igini, has continued to receive commendations from the residents, concerned Akwa Ibom citizens, religious groups, civil society groups, as well as domestic and international observers. In fact, the state chapter of Inter-Party Advisory Council, IPAC, kicked against endless calls and protests by APC stakeholders and supporters, demanding the removal of Mike Igini, because it smelt sinister motive. ‘The APC just like other parties should be glad that there is an umpire in Igini’s mould who is committed to ensuring credible, free, fair election by seeking ways of multiplying such reputation in the commission. Similarly, in a swift reaction on Tuesday, IPAC expressed dismay over allegation by APC chieftains (Nsima Ekere, Senator Godswill Akpabio and Atuekong Don Etiebet), that Igini colluded with PDP to rig the presidential/NASS and the gubernatorial/state assembly polls. In some units in the state, there were reports of harassment and use of thugs to harass, overpower electoral officials, especially the NYSC members and they carted away electoral materials. However, elections were cancelled in units and wards that recorded cases of electoral malpractices, ranging from over voting and carting away of electoral materials by thugs assisted by politicians. For instance, the Eket election was cancelled in one unit, in Mbo, election was cancelled in three units and in Ini local government, election was cancelled in two units. Also in the governorship and state House of Assembly elections, results were recorded only in two out of 11 wards in Essien Udim local government area, while election was cancelled in the nine wards due to electoral malpractice. Akwa Ibom state has 329 wards and 2,980 polling units. Another area that the INEC performed well was its ability to replace, at the last minute, all the electoral officers deployed to the polls after learning that politicians had heavily bribed them. In Bayelsa, it was an exercise in which the electoral umpire, INEC, was helpless, as soldiers, who ordinarily, have no business with elections were turned into a “ruthless” rigging machine of the central ruling party, the All Progressive Congress, APC. In the presidential and national assembly elections, soldiers guarded areas where APC leaders held sway. Shootings from political thugs, aided by the military started even before the commencement of the polls in some coastal communities. This, according to our findings was because they wanted electoral materials hijacked. Nembe Bassambiri, Brass and Southern Ijaw witnessed the undemocratic acts. At Bassambiri, some persons abducted NYSC members, who were INEC ad-hoc staff and results were cooked up. While the leading People’s Democratic Party, PDP, raised alarm over the electoral fraud, the electoral umpire looked away. At Brass, the situation was worse as thugs manhandled a senior police officer in the full glare of reporters though police arrested some culprits. This scenario also played out in Southern Ijaw IV in Southern Ijaw local government area and Agbere in Sagbama council area, where suspected thugs aided by soldiers overwhelmed INEC officials and hijacked materials. Surprisingly, INEC announced results for the presidential and national assembly polls, in spite of the alleged violence in some wards and units in the area. In fact, the commission itself claimed that rampaging thugs carted away 63 of its card readers during the February 23 polls. Thugs hijacked the ballots due to security challenges faced by INEC personnel in the affected areas. The outcome of the polls in the affected areas sparked off accusations and counter accusations from the ruling PDP and the opposition APC. The Coalition of United Political Parties, CUPP, and Inter-Party Advisory Council, IPAC in the state called for the immediate redeployment of the state Resident Electoral Commissioner, Pastor Tom Udoh before the March 9 polls. According to the aggrieved parties, the REC could conduct free, fair and credible elections for the state House of Assembly due to what happened during the presidential and national assembly polls. CUPP expressed sadness that under his watch, the presidential and national assembly polls were fraught with irregularities as elections materials were hijacked and carted away by rampaging thugs backed by soldiers. “The law stipulates that card readers must be used during the elections, but where card readers were carted away and elections did not take place, results were announced,” the group noted. However, the March 9 exercise saw some improvement in terms of logistics and firmness on the part of the commission. Just like the presidential and national assembly polls, the state assembly elections witnessed massive military presence across the state. The REC also took out time and went to the field to observe the process in some communities that could be accessed by road. Nonetheless, there were reported cases of electoral violence and other irregularities in some parts of the state, a development responsible for the inconclusive polls in three constituencies namely Brass I, Ogbia II and Southern Ijaw IV.